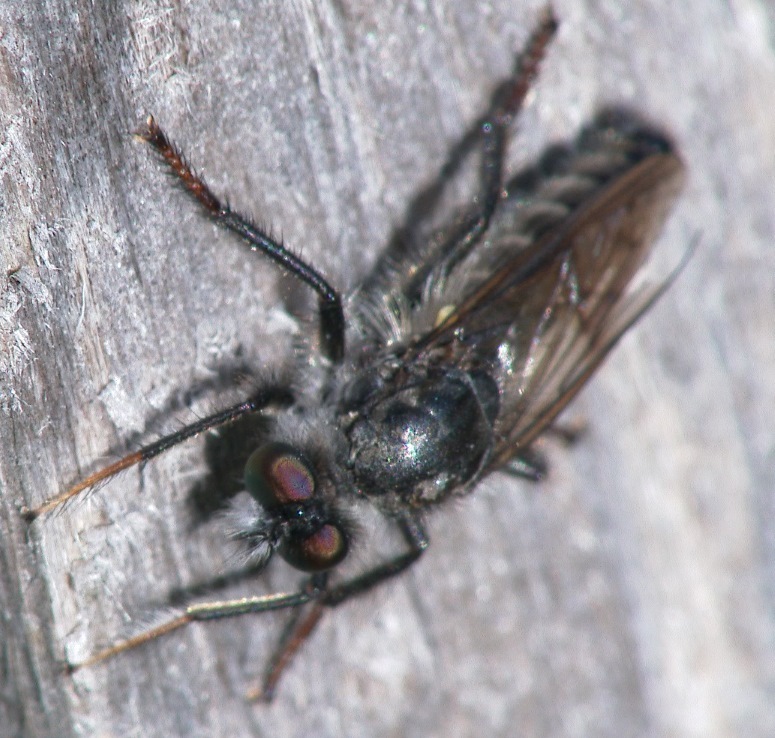 Diptera.info - Discussion Forum: Leptarthrus brevirostris? found in Austria, Tyrol, Padauner Kogel, about 1900m a.s.l., 2018-07-18. 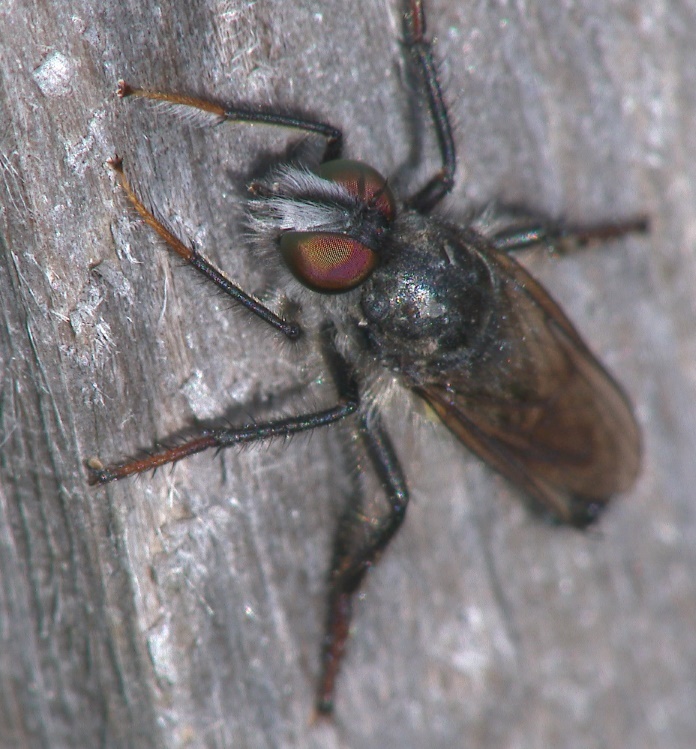 The flies were sitting at fence poles of a mountain meadow. It is as if there are two different specimens on your pictures.... the left one has red tarsi and a white mystax the other two seem to have black tarsi and a black mystax..do you have more pictures of the left specimen? The other two seem to be females L. brevirostris. Yes you are right, two different specimens but nearly at the same time at the same location. Therefore I thought it should be a male and a female of the same species. Unfortunably the male escaped during changing the position of the camera. Thank you very much, Reinoud.